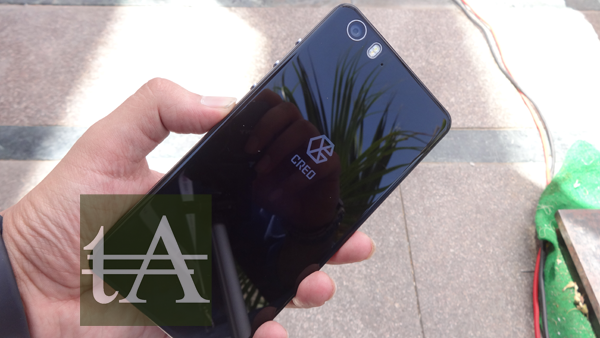 Last month when the Bangalore-based company, CREO has launched their first flagship smartphone, the Mark 1 they had also announce that they will try to push updates on the monthly basis and to keep their promise, the company has pushed their first monthly update for their users. The first software update after exactly a month of the OS and phone’s launch, on 13th April company, has launched device, and on 13 May they had announced the first update. The first update for CREO Mark 1 includes the introduction of new features such as Enhance, Data Manager, Selfie Flash and an upgrade to the existing features such as Sense and Echo along with overall performance enhancements. A new feature which is embedded into Android’s settings, Data Manager allows a simple and intuitive way of saving cellular data consumption by regulating data access to the many apps present on the user’s phone. It informs the user of the size of the problem (how much background data is being used out of their total data consumption) and provides simple toggles for restricting unwanted apps from consuming background mobile data. Enhance is a simple to use photo editor which is embedded into Camera App and the Gallery, it allows quick and easy photo editing. Users will be able to Crop, Transform and Adjust images in addition to setting Vignettes and applying various Filters. Apart from these options, Enhance also allows users to create custom presets which can be applied instantly. CREO Mark 1 comes with 8 MP front camera and to take your selfies to the next level, even under low-light conditions, Fuel OS now features Selfie Flash. Selfie Flash lets the user click well-lit selfies using the front facing camera in environments where the lighting may not be conducive to photography. When the Selfie-Flash mode is switched on, the 5.5 inch phone display lights up for a split second radiating a burst of light for that perfect selfie. All new hassle free Echo Mode which directs all calls to Echo without the involvement of the user. Echo Mode also comes with smart triggers – such as automatically turning on when the phone is on Silent Mode or when an upcoming meeting is detected on the user’s calendar. Echo now allows users to be able to set different Welcome Messages for different contacts in the phone. Besides English, Echo now welcomes callers in all new 6 popular Indian languages – Hindi, Bengali, Marathi, Tamil, Telugu and Kannada. The Mark 1 was launched with Sense – a unified search experience built exclusively in Fuel OS. Sense facilitates the local search of contacts, applications documents, music files, emails etc. Sense can be activated from anywhere in the phone by a simple Double Tap on the Home Button. Keeping up with the core objective of getting things done faster on the Mark 1, Fuel OS now sports some all-new nifty features on Sense. Sense functions at an OS level with no hassles of multiple App permissions and can be invoked anywhere with a simple Double Tap on the Mark 1 home button.